Ammonia prices continued to move upward in June with high gas prices constraining ammonia production from some marginal producers while demand has held steady on support from stable-to-firm downstream prices. Prices ex-Yuzhnyy, Ukraine, are at $244-$248 per metric ton (mt) FOB (free on board — the buyer pays for transportation of the goods), up from $235-$240 at the end of May. Ongoing production outages in Ukraine are prompting some producers to buy in product to maintain fertilizer production rather than produce it internally. In Europe, an extended turnaround has been limiting production at OCI’s Geleen, Netherlands, plant. There is talk of other shutdowns because of high gas costs within the region, but it is difficult to pin down how many plants have so far been affected. New production in Indonesia is believed to be close to supplying its first export metric tons while the Yara/BASF plant in Freeport, Texas, was last heard to be running at 70% capacity. On the demand side, a new phosphate plant in Morocco will be ramping up, but whether operating rates at other lines will be tempered to limit the overall increase in production — and therefore ammonia consumption — remains to be seen. There is concern in India that the steadily depreciating rupee — and by consequence, a rising farm gate price for DAP — will negatively affect ammonia import demand. The July Tampa price increased $10 from June to $280 per mt CFR (cost and freight), marking the second consecutive month to see an increase after months of steady decline. The global ammonia supply-and-demand balance continues to be fragile. However, for now, the price outlook in the short term is firm. The domestic ammonia market was buzzing in mid-June as market participants engaged in producers’ summer fill and fall prepay programs. Sales in both programs are reportedly down from last year’s very high levels but are in line with the five-year averages. Buyers in the Corn Belt have reportedly secured around 50% to 60% of anticipated fall application requirements. Initial offers for summer fill (June shipment) were made at $300 per short ton (t) FOB for Illinois, Indiana and Iowa. 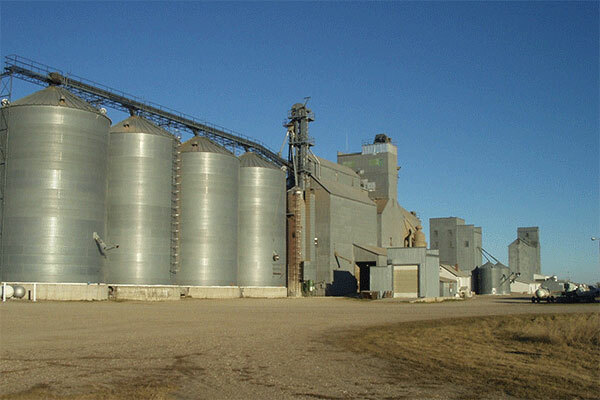 Prices in North Dakota and Minnesota were slightly higher at $310 per ton FOB. Fall prepay for Illinois and Indiana was heard at $360/t FOB, while prepay offers in Minnesota and North Dakota were made at $350 FOB. These fill values are between $0 and $60 higher than last year’s offers. By the end of June, summer fill and fall prepay business had quietened down. Corn Belt FOB prices settled into the $330-$340/t FOB range for prompt, down from $360-$400/t FOB at the end of May. Ex-plant summer fill prices in eastern Oklahoma were available as low as $260/t FOB but are now understood to have increased to around $300/t. This compares to last year’s low of $175/t. Fall prepay prices were initially heard around $315-$320/t FOB in Oklahoma. The region has less ammonia availability for Jun-Aug shipment this year due to the new granular plant at Koch’s Enid, Oklahoma, facility now consuming ammonia. Furthermore, LSB was having to ship tons from its Pryor, Oklahoma, plant to El Dorado, Arkansas, to support its ammonium nitrate production while the El Dorado ammonia plant went down unexpectedly for the majority of June. Weak crop prices and seasonally slow demand will likely keep values relatively stable short term. Urea prices rallied in June with granular benchmarks climbing over $20/mt on Iran trade woes, minimal exports from Ukraine and China, and better-than-expected demand in the Americas. With an Indian tender looming and Iran’s ability to participate in it uncertain, it seemed an all-too-perfect storm was brewing for higher prices to those attending the annual International Fertilizer Industry Association (IFA) conference in mid-June. Following the conference, traders and importers looked to position themselves for the next few months, and this pushed North African and Arab Gulf FOBs even higher. Strangely, however, India has yet to be heard from, and now the market is left questioning whether this delay is due to India trying to figure out how it will pay Iran for potential imports, or because of mounting seaport inventories, or some combination of both. In the Arab Gulf, spot sales were last concluded at $275-$280/mt FOB, up from $245-$250 at the end of May. Despite the truckers strike, Brazilian imports have been increasing of late with buyers accepting prices at $290-$295/mt CFR as they look to cover sales for the upcoming season. North African FOB levels posted similar gains, ending June at $268-$284/mt FOB, up from $235-$256 a month ago. The hype in the urea market seems to have lost some steam, and the short-term outlook calls for stable to slightly softer prices with seasonally slow demand being mostly balanced out by reduced Chinese exports. New Orleans, Louisiana, (NOLA) barge prices were steady to slightly firmer through June with support from robust end-of-season demand. Domestic inventories are tight following a strong spring application season, and producers are generally understood to be relatively comfortable through the third quarter with help from the export market. Prices ended the month at $245-$250/t FOB, up from $225-$245 in May. As the spring application season slowed, producers shifted focus toward summer fill sales. Prices were reported as low as $240/t ex plant in Iowa and Oklahoma, but most business was understood to have been concluded around $250-$255/t, which is about a $25 discount to offers for imported product. Northern buyers were generally hesitant to commit with plenty of time to make purchases for spring, but larger distributors are understood to have done some buying. Plains buyers also covered some needs for fall applications. Producers have since retracted those offers and announced prices at a higher level of $280-$285/t ex plant. River terminal prices moved up about $10 from last month to around $270-$280/t FOB to reflect higher replacement costs out of NOLA. Supply is tight in the Midsouth with some spot outages reported south of Cairo, Illinois. The price outlook is mostly stable following summer fill sales. Downside is limited in the short term, while the international market is firm with upside being limited by seasonally slow demand and weak crop prices. Domestic UAN prices are a touch softer from May. The firm urea market is providing support for UAN prices and only a small reset is expected for summer fill. Inventories are thought to be tight following a solid spring season, and domestic producer CF has a good export book on for June-August. A summer fill announcement from CF is expected around the time of the Southwestern Fertilizer Conference, which will be taking place in San Antonio, Texas, on July 14-18. Most market participants expect summer fill values for 32% in the $145-$165/t FOB NOLA range. NOLA UAN barge trade is quiet with last trades reported in the $165-$170/t FOB range, down from a range of $165-$172 at the end of May. The next round of business will be for summer fill. Interior prices are slipping a bit as sellers compete for end-of-season sales. River terminal prices are in the $195-$208/t FOB range, down from $200-$215 a month ago. The sidedress season in the Corn Belt is largely over. The UAN market is relatively balanced for the time of year. Historically, prices have tended to erode toward the end of the season, but this year has had mostly stable pricing. The price outlook is slightly soft with producers expected to provide at least a small price incentive for summer fill. The theme in the phosphates market is little changed from last month. Demand is steady and producers are carefully managing output so as to not tip the market into oversupply, which has allowed DAP, MAP and TSP prices to continue rising in countries west of Suez and be stable to modestly firm in those in the east. In the U.S., following on from a robust spring season and lower indigenous supply, inventories going into summer fill are said to be relatively low, prompting the need to replenish stock ahead of the fall season. Prices have moved up as a result with latest sales for DAP barges reported at $399-$402/t NOLA. The higher prices are prompting renewed import interest with several DAP/MAP cargoes from Morocco and Russia now lined up for July/August arrival. The Brazilian market, in contrast to NOLA, remains quiet in the aftermath of the truckers’ strike, which has left movement in and out of the ports constrained by the backlog of freight. Nonetheless, producers have been able to increase MAP prices here to $435-$440/mt CFR, up from $427-$430 at the end May. India remains the wildcard. With a normal monsoon, Indian DAP demand should theoretically stay firm. However, a steadily depreciating rupee — and, by consequence, a rising farm gate price for DAP — will be negatively affect buying power and demand, and thus could ultimately affect phosphate imports moving forward. The price outlook is steady in the short term but is more uncertain in the medium term as new production is scheduled to come online in Morocco, which may tip the supply-and-demand balance if demand in key countries does not ramp up to match. Domestic phosphate producer Mosaic announced summer fill offers in early June for DAP at $385/t FOB NOLA and MAP also at $385. This compares to DAP barge prices last year around $310/t for fill business. Buyer response to the program was positive, with multiple DAP and MAP barges transacting for summer shipment. Mosaic has since raised its DAP offer for summer fill to $400/t NOLA and MAP to $405. The market quieted down toward the end of June, and barge prices stabilized at $399-$402/t FOB for DAP and $402-$410 for MAP, up from $378-$383 and $375-$380, respectively, at the end of May. The higher price level has made the U.S. a relatively attractive market for overseas producers. Imports have been lining up for July/August arrival from Russia and Morocco. River terminal DAP prices have moved up to $425-$435/t FOB. MAP is generally between a $5 and $10 premium to DAP. There have been limited new sales at this level with dealer interest in summer fill mostly yet to emerge. Uncertainty is creeping into the domestic phosphate market as soybean prices hit a two-year low — and almost a nine-year low — and corn prices a four-month low. Yet, phosphate producers remain bullish on prices, hinting at another increase, while retailers balk at the current price level, arguing unsupportive farmer demand. The price outlook is stable following the recent price increase and considering the recent weakness in crop prices. Citing strong participation in their summer fill programs, Canadian producers have increased their potash prices by $10-$20 since last month. The initial fill offers at $280-$290/t rail delivered and $270-$275/t FOB river terminal were pulled early, reportedly due to the high volume of sales. New prices have been announced in the rail-delivered market to $300-$310/t and $280-$285/t FOB in the river market, too. Imported product has seen similar price increases, with barges trading up to $255-$260/t FOB NOLA, up from $240-$245/t at the end of May. Offers from river terminals are up to $280-$285/t FOB on the Upper Mississippi and around $275-$280/t on the lower. The price outlook is stable following the recent price increase and considering weak crop prices.